While there are more than 15,000 museums in our country, visitors get to see only aboutВ five percent of any institutionвЂ™s collections.В Most museums simply donвЂ™t have room to display everything theyвЂ™ve got. However, there are a wide variety of surprising and intriguing reasons that, for example, the Smithsonian Institution doesnвЂ™t display its collection of condoms, Florida's Lightner Museum locks up all but one of its shrunken heads, and a world-class stash of Japanese erotica (shunga) art was kept in the Honolulu Museum of Art's storage until only recently. 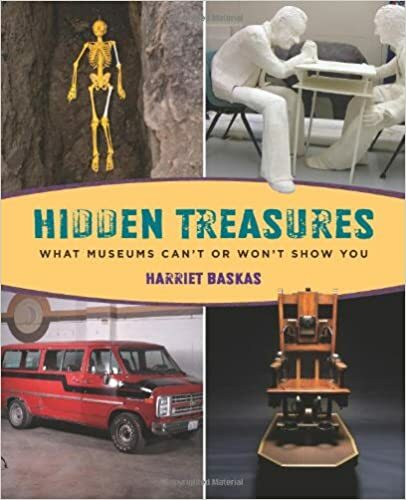 Each item or collection included in this volume isВ described and placed in context with stories and interviews that explore the historical, social, cultural, political, environmental, or other circumstances that led to keeping that object or group of objects out of public view--the ultimate museum buff's voyeuristic experience. Color photographs of the artifacts are included.